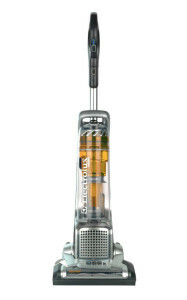 Electrolux vacuum cleaners feature current state-of-the-art canister and upright models. 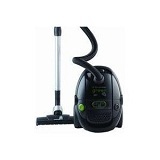 Check our reviews and choose among recommended vacuums for your home or office. You can also read consumer reviews written by other visitors to this site, or submit your own. The founding father of Electrolux is Axel Wenner-Gren whose principles that he established some 90 years ago still have a direct impact on the quality of life households now have. It all started with a single vacuum cleaner that took years of innovation and acquisition until it became one of the global leaders in home appliances and appliances for professional use as well: the Electrolux Company today. In the year 2000, Electrolux in North America sold its rights to the Electrolux Group of Sweden with the company in the USA named as Aerus LLC in the beginning of 2003. It now owns about 500 franchises all over United States and Canada under its new name. But Electrolux is still the name used by the Electrolux Group in Sweden, which is also the maker of Eureka vacuum cleaners. The Electrolux line of vacuum cleaners – canister type and upright cleaners – provides the perfect cleaning solutions for asthma and allergy sufferers. They use HEPA filtration system that contributes to the ease of use and quiet operation of the vacuum cleaner. All Electrolux vacuum cleaners are 100% made from VALOX plastic, which means that it is heat and scratch-resistant and do not have the tendency to rust. The vacuum cleaners have an ultra-flexible system that comes with multiple points where you can connect an intake pipe from a central location in the house. They can also have several directional exhaust connections. They have superior suction power collecting 99% of the dust from the floor and 76% dirt from the carpets. They can be easily maneuvered, which makes it easy to handle the vacuum cleaner for an all-around cleaning. Every vacuum cleaner has been installed with safety features to prevent its motors from overheating. The following recommendations are based on the price and value of Electrolux models. The Top Model is where money is not a problem and you’re looking for the best features and the highest quality and performance. It receives minimum 4 stars in online consumer reviews and ratings. The Best Value model combines good quality and performance and a price below $250. It also receives at least 4 stars in popular online rating websites like Amazon and of course our VacuumWizard.com consumer reviews. The Most Affordable Electrolux vacuum cleaner is a model which gets at least 3 stars in online consumer reviews, has all the basic features and is very easy on the wallet – is costs less than $150. 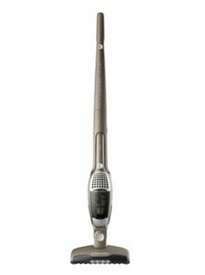 Nothing comes close to the Electrolux EL 6984A in terms of value. From a price tag that ranges from $234 to $250 (varying from one online shop to another), the Electrolux UltraSilencer canister vacuum has a powerful suctioning ability and definitely is worth the money you spend on it. Its features include a high-efficiency motor, a replaceable motor filter, and a bag-full indicator. You can activate the vacuum with a foot and can adjust suction power on the vacuum cleaner and/or on the hose handle. One of the main benefits of this canister Electrolux vacuum cleaner is of course its low noise output of only 60 DBA and its ability to transition effortlessly from carpets and rugs to bare-floor surfaces like tile, linoleum, or hard wood. If you choose to buy the UltraSilencer canister vacuum, you’ll also make your contribution to a greener and cleaner world; the EL6984A is made of 55-percent plastic from recycled materials and it arrives in packaging that is made of 80-percent recycled unbleached cardboard. It’s low noise output also doesn’t contribute to an every growing noise pollution in out homes. Consumers often praise its versatility and lightweight design, low noise output and the long cord. It’s suction power is not the most powerful out there so if you often have very dirty carpets (kids making a mess, pet stains, …), then you may want to find a more powerful model. But for normal levels of dirt and dust, the UltraSilencer provides excellent cleaning performance for an acceptable price. For a budget-friendly purchase, you’ll never go wrong with the EL1022A from Electrolux. This is a powerful two-in-one cordless vacuum cleaner with a built-in handheld vacuum that comes at a very affordable price of around $105. The Electrolux Ergorapido Ultra cordless vacuum is equipped with excellent features that the company is well known of. Above all, it is a stick and a handheld unit rolled into one, making it more advantageous than any other vacuum cleaners. The Ergorapido’s slim and lightweight feature makes it suitable as a handheld unit wherein you can bring it closer to areas where dust and dirt accumulates. The motorized aluminum brush roll has a powerful cyclonic dust that is able to maintain suction longer for greater effectiveness in terms of cleaning process. This affordable cordless Electrolux vacuum cleaner has wheels that make it highly maneuverable even on hard floors. And with its unique 180° swivel head, there is no chance that all those debris cannot be suctioned off. What makes the Electrolux Ergorapido unit great is that you can grab it anytime you want because it is always charged and ready to move and clean. There is no need to be pestered by cords, plugs, and outlets because all you need is to store and rest it in its charging base – and viola, it is always ready whenever you are in the mood for cleaning. The charging base can be mounted on the wall, saving you a lot of space. It has a dusting brush and a crevice stored together with the charging stand, which allows all those hard-to-reach surfaces to be cleaned without sweat. And you don’t have to worry about getting your hands dirty when emptying the dust cup because it has three different ways to empty it without touching. If you want top quality and superior cleaning power, this vacuum has a beta powerhead option that is designed to clean in traditional carpeted floors, hardwood or laminated. Nicknamed the ultra-performance machine, the Oxy3 Ultra captures 99.79% allergens, dust, and tiny particles and also has filter change indicators that signal when the dust bag is full. All of the controls and tools are in its handle including the rewind for the power cord. Its features include the unique design that comes with a sealed HEPA filtration system, the MicroSeal fresh air technology, a sensor system, a power nozzle for easy adjustments, an integrated wand system, optimal feedback light that lets you know when the bag needs changing, a 12-amp motor, and tools for dusting, crevices, and upholstery. The EL 7020B is the company’s top model, garnering great and excellent reviews from a good number of its users. The telescoping pole is always being lauded for getting jobs well done under the beds, dressers, and couches. Its carpeting power is incomparable, regardless of the material that you have – whether it be an area rug or a Berber rug. This canister Electrolux vacuum cleaner moves effortlessly, ridding you of worry that it will bump into your furniture or crash into your newly painted walls – all that without making much of a noise. For all these, the Oxy3 Ultra is unquestionably the company’s pride. See just below for a list of Electrolux consumer reviews left by visitors to this page, or leave your own. Have you had a Electrolux vacuum cleaner? Share your experience with it–your thoughts, frustrations, satisfactions, and more–below and we will publish it on this page for other visitors to benefit from.